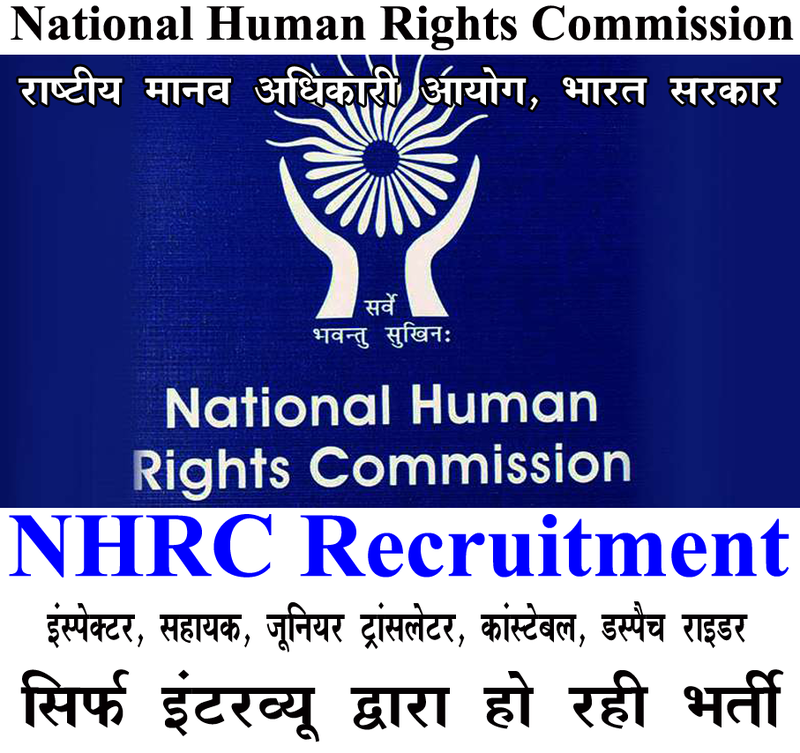 National Human Rights (NHRC) Has opening Application Form For 16 Constable, Assistant. All Eligible Student Candidates Are Required To check Eligibility details for NHRC Job Advertisement and Apply Offline Before On Last Date 17-10-2016 . 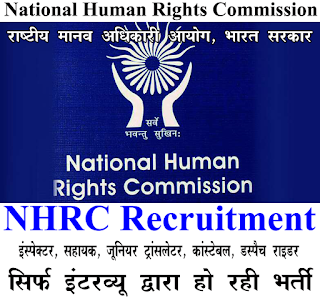 All Candidates Student Who Are Applying NHRC Recruitment 2016 for 16 Constable, Assistant, Should Check Vacancy Details Like -Educational Qualifications And Experiences Requirement, Exam Pattern, Syllabus, Age Limit, Selection Criteria, Admit Card, Results, Exam Date, Before Applying. Salary And GradePay :- INR Rs. 15,600 - 39,100/- With 6600/- Grade Pay (Post 1,2),Rs. 9,300-34,800/- With 5400/4200/- Grade Pay (Post 3-9), Rs. 5,200 - 20,200/- With 2000/2400/- Grade Pay (Post 10,11). Age Limit :- Candidates Student upper age limit should not exceed 56 Years. Age relaxations will be applicable as per the rules. For more detail about age Go To Detailed Advertisement. Educational Qualification :- All Interested Student Candidates should must have completed Bachelor Degree or its equivalent qualification from any recognized Board/University. For Post Wise Qualification Go To Detailed Advertisement. How To Apply :- All Eligible student need to visit official website http://nhrc.nic.in. After Filling The application form, candidate must send hard copy of application along with relevant testimonials (Mentioned In Detailed Advertisement) to the following Address before on Last Date 17-10-2016. Address to send form :-Secertary (Estt),National Human Rights Commission,Manav Adhikar Bhawan,Block-C.GPO Complex,INA,New Delhi-110023. Last Date :-Last Date for Receiving of Application Form Is: 17-10-2016 .